Teoría de Colas y Simulación de Eventos Discretos. Editorial Prentice-Hall. ISBN 84-205-3675-X. Año 2003. Problemas de Teoría de Colas. Editorial Andavira. ISBN 978-84-8408-560-7. Año 2010. Librerías software de Laboratorio de Sistemas Operativos. Computación en la nube (Cloud Computing). Personalization of Interactive Multimedia Services: A Research and Development Perspective. Editores: José Juan Pazos Arias, Carlos Delgado Kloos y Martín López Nores. 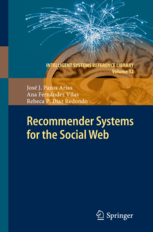 Recommender Systems for the Social Web. 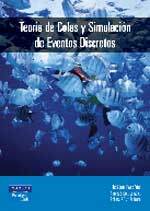 Editores: José Juan Pazos Arias, Ana Fernández Vilas y Rebeca P. Díaz Redondo. 6th International Workshop on Semantic Media Adaptation and Personalization (SMAP 2011). IEEE International Conference on Consumer Electronics (since 2007). HEALTHINF: International Conference on Health Informatics (since 2011). EuroITV European Interactive Television (since 2007). 7th International Workshop on Semantic Media Adaptation and Personalization (SMAP, since 2009). 3rd International Conference on Social Computing and its Applications (SCA 2013). 1st International Conference on Virtual Reality and Broadcasting (CVRB 2013). The 2013 International Workshop on Social Computing, Network, and Services (SocialComNet 2013). International Workshop on Collaboration Technologies and Systems in Healthcare and Biomedical Fields (CoHeB 2012). 7ª Conferencia Ibérica de Sistemas y Tecnologías de Información (CISTI 2012). Workshop on Knowledge Extraction and Exploitation from semi-Structured Online Sources (KEESOS 2011). 6ª Conferencia Ibérica de Sistemas y Tecnologías de Información (CISTI 2012). 5th International Workshop on Semantic Media Adaptation and Personalization (SMAP 2010). 3rd International Symposium on Intelligent and Interactive Multimedia: Systems and Services(IIMSS 2010). 4th International Workshop on Semantic Media Adaptation and Personalization (SMAP 2009). 6th International Conference on the Quality of Information and Communications Technology (QUATIC 2007). 25th IEEE International Conference on Computer Communications (INFOCOM 2006).